We will give you the tools you need to get your ideas across more clearly – no matter what you write. We take you step-by-step through POWER© writing, the proven method that we’ve used to help thousands of professional writers on our in-company courses. You learn how to plan your message and craft your sentences in the clearest and most compelling language, with useful and practical checks on grammar and punctuation along the way. And our interactive exercises throughout the course mean you put your new skills into practice instantly. By the end of this 4-part course you will have all the core skills you need to produce writing that does the job you want it to do...every time. Both print and digital writing skills are covered and you have the option of getting invaluable one-to-one feedback on your actual writing from our expert tutor. Excellent feedback; her confidence and writing skills have improved already. She found the course to be well presented, kept her focussed and Margaret was very easy to listen to. It offered great advice and all the points raised have been very useful. Effective writing is an ideal companion to our Top 20 Grammar Mistakes and how to fix them and Proofreading courses if you need more of the basics. Once you've done the Effective writing course, you might also want to go further into Writing for the Web or PR Writing. If you sat down and did the course in one sitting, it would take approximately 2-3 hours to complete. However, the exercises and quizzes we include mean it can take longer. You can work at your own pace, and dip in and out of the course as often as you want, and go back to sections to really make sure you've understood. If you have any queries at all, you are very welcome to get in touch with the trainer as often as you want. This course is packed with interactive exercises that put you in the writer’s chair so you can practise what you learn as soon as you learn it. Know your punctuation? Answer the questions correctly and you can skip the theory. Or you can review particular pieces of punctuation – it’s up to you. Check your understanding with quizzes based on common documents such as customer service letters, proposals and emails. Margaret Coffey is a journalist, trainer and founding-director of ContentETC. As a trainer she works with major UK media owners and other organisations to design and deliver programmes to improve the performance of writers across all media channels. For 30 years she has written about business and technology for US and UK publications and websites, including BusinessWeek, The Independent, The Financial Times and many others. 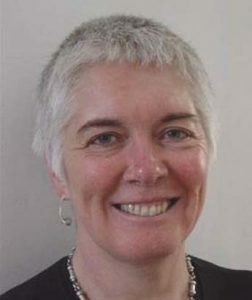 Margaret's recent clients include Bauer Media, Immediate Media, the University of Strathclyde, the Museum of London, Tekdata Interconnections and the National Bank of Kuwait Capital. The beauty of e-learning is that you can do it at a time and place to suit you. But you won't be alone! Margaret will talk you through the key points to improve your skills and knowledge, and at any time during your e-learning course, you can email her with any queries or comments. Margaret can also give you invaluable one-to-one feedback on your own work. If you buy the trainer feedback option with your course, she will ask you to email your work after you have completed the e-learning. She will supply you with individual guidance, comments and practical suggestions. Then, once you've improved your work, she will review your revised content and provide a second set of comments. This unique feedback really brings your e-learning to life and makes sure you have truly grasped - and applied - all of the key principles. If you would like to receive a Certificate when you have completed your e-learning course, please just let us know and we will arrange for one to be sent to you. Effective writing is £19.99 + tax per user * which gives you full unlimited access to the course for one month. If you need longer though, you just need to let us know. If you want to add personal one-to-one trainer feedback to the course, the price is £69.99 + tax. Discounted rates are available for multiple users. The discount applies to this course or a mix of e-learning courses. We will give you an immediate 10% discount off your second course if you book with us again.